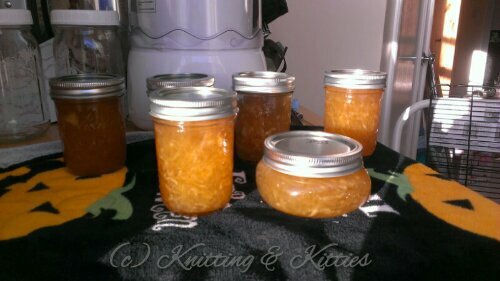 First is my end of apple season re-do of Food In Jars Apple Ginger jam. Last year when I tried this one, I got a delicious, albeit unspreadable result. I ended up chiseling it into bits and eating it with brie, so it did not go to waste. I decided to give it another go and see if I could get a more spreadable result. I was successful! My results are more… syrupy than jammy. Still delicious, though, and infinitely more usable than my “fruit chunks” from last year. It’s rather nice on waffles or shortcake. 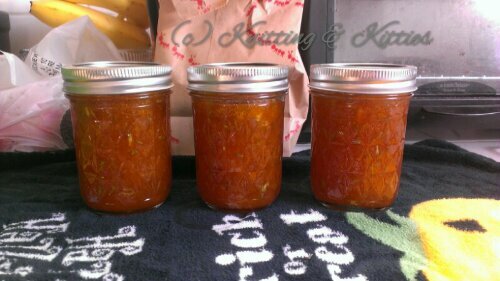 I also spent some time on Mama’s Day making a lovely Apricot Rosemary jam. It smelled divine while cooking up. A little bit sweet, a little bit savory. I haven’t checked the set of this jam (or the seal of the jars, for that matter. I should get on that. ), but I’m hopeful. 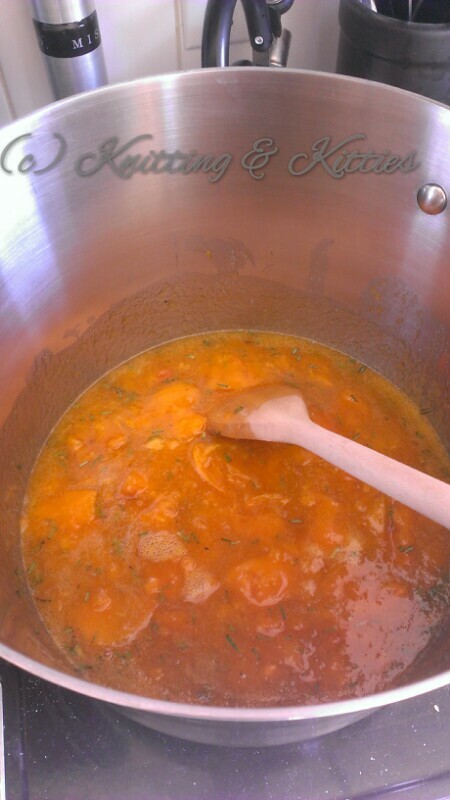 The leftover bits in the pot were a good jammy consistency.